Launched in 2016, the Young Transatlantic Innovative Leaders Initiative Fellowship is the flagship program of the Young Transatlantic Innovation Leaders Initiative (YTILI) of the U.S. Department of State and is supported in its implementation by GMF. 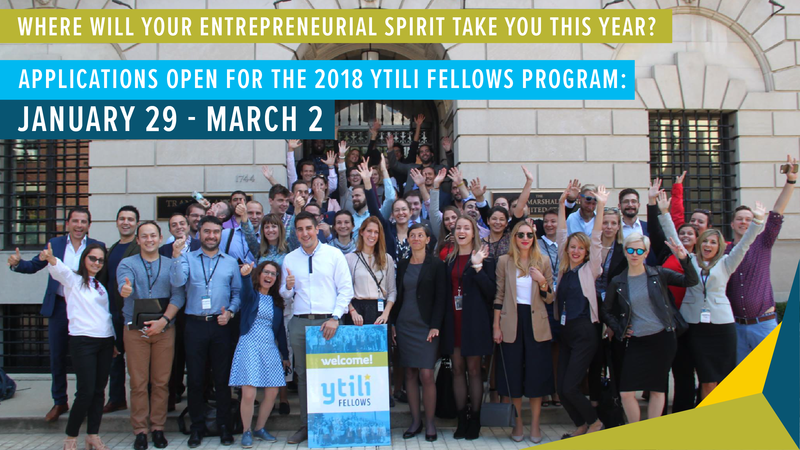 YTILI empowers young European and Eurasian entrepreneurs and innovators with the tools, networks, and resources they need to turn ideas into action and grow successful enterprises. Convene in Portugal this summer to plan for their fellowship goals with a team of expert mentors, network with other European entrepreneurs, and hear from industry experts on best practices in diverse business topics. Take part in a week-long immersive U.S. experience in an emerging economy, in collaboration with local, expert mentors from business, government, and non-profit who are committed to developing the fellow’s venture. Travel to Washington, DC to engage in a transatlantic policy dialogue around issues of entrepreneurism and innovation with U.S government leaders and experts from diverse business and non-profit background. Access to a rich network of thought-leaders providing custom business advising via webinars and virtual roundtables. Are a citizen of one of the participating countries*: Albania, Armenia, Austria, Azerbaijan, Belarus, Belgium, Bosnia and Herzegovina, Bulgaria, Croatia, Cyprus, Czech Republic, Denmark, Estonia, Finland, France, Georgia, Germany, Greece, Hungary, Iceland, Ireland, Italy, Kosovo, Latvia, Lithuania, Luxembourg, Macedonia, Malta, Moldova, Montenegro, Netherlands, Norway, Poland, Portugal, Romania, Russia, Serbia, Slovakia, Slovenia, Spain, Sweden, Switzerland, Turkey, Ukraine, United Kingdom. Currently reside in one of the participating countries*: Albania, Armenia, Austria, Azerbaijan, Belarus, Belgium, Bosnia and Herzegovina, Bulgaria, Croatia, Cyprus, Czech Republic, Denmark, Estonia, Finland, France, Georgia, Germany, Greece, Hungary, Iceland, Ireland, Italy, Kosovo, Latvia, Lithuania, Luxembourg, Macedonia, Malta, Moldova, Montenegro, Netherlands, Norway, Poland, Portugal, Romania, Russia, Serbia, Slovakia, Slovenia, Spain, Sweden, Switzerland, Turkey, Ukraine, United Kingdom. Have at least two (2) years of entrepreneurial/leadership experience with a startup business or social venture. — Are not a U.S. citizen or permanent resident of the United States. Are not a U.S. government employee. Are proficient in reading, writing and speaking English.